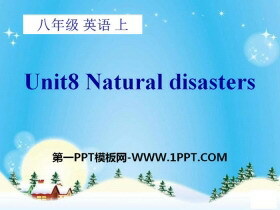 《Natural disasters》MP3音频课件 文件内包含本课教学使用的MP3音频文件，非常适用于本课教学。 关键词：牛津译林版八年级上册英语MP3音频课件免费下载，《Natural disasters》音频下载，.mp3格式；..
《Natural disasters》Flash动画下载 本课件为课堂故事学习的Flash动画课件，适合小学英语学习。 关键词：牛津译林版八年级册上册英语Flash动画课件免费下载，《Natural disasters》动画下载，.swf格式；..
《Natural disasters》Flash动画课件 本课件为课文对话学习的Flash动画课件，适合小学英语学习。 关键词：牛津译林版八年级册上册英语Flash动画课件免费下载，《Natural disasters》动画下载，.swf格式；..
《Natural disasters》PPT 第一部分内容：Listen and answer : 1 Whats the weather like ? Its raining. =Its rainy. 2 Whats wrong with Hobos house ? His house is wet. Read the dialogue and answer . 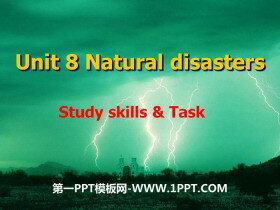 1.What was Hobo d..
《Natural disasters》Study skillsTaskPPT 第一部分内容：Study skills Put two words together to create new words. They are called compound words. 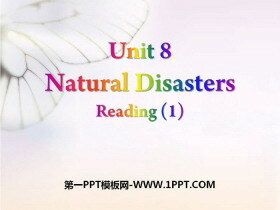 rail way railway pan cake pancake snow ball snowball earth quake e..
《Natural disasters》ReadingPPT课件 第一部分内容：write downTorF. 1. 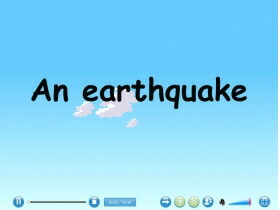 Timmy was in the street when the earthquake started. _____ 2. At first,Timmy heard a loud noise like thunder. _____ 3. 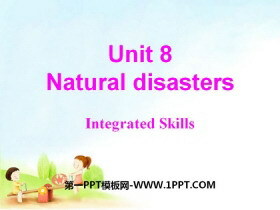 People ran in the same..
《Natural disasters》Integrated skillsPPT 第一部分内容：Speak up What should we do first? 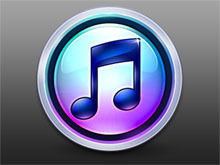 Listen to the tape and answer the following questions: 1. What are they talking about? 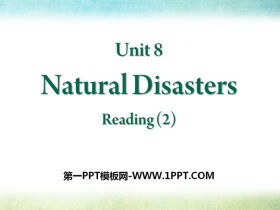 What to do when burning oursevles..
《Natural disasters》GrammarPPT课件 第一部分内容：新课导入 What were you doing when the teacher came into the classroom just now? 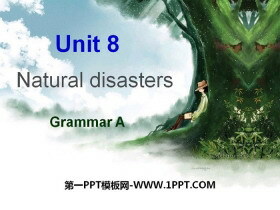 do homework clean the desk talk with my desk mate prepare for the next lesson lo..
《Natural disasters》GrammarPPT 第一部分内容：Interview Timmy 1.Where were you when the earthquake started? 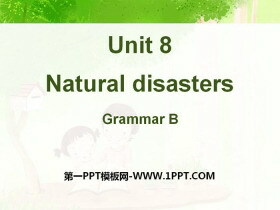 2.What were you doing when earthquake began? 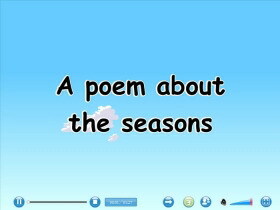 3.how did you feel and what did you hear at first? 4.what..